Adekunle wakes up from a dream at the end of his video for “Surrender”, laughing to himself on the couch. 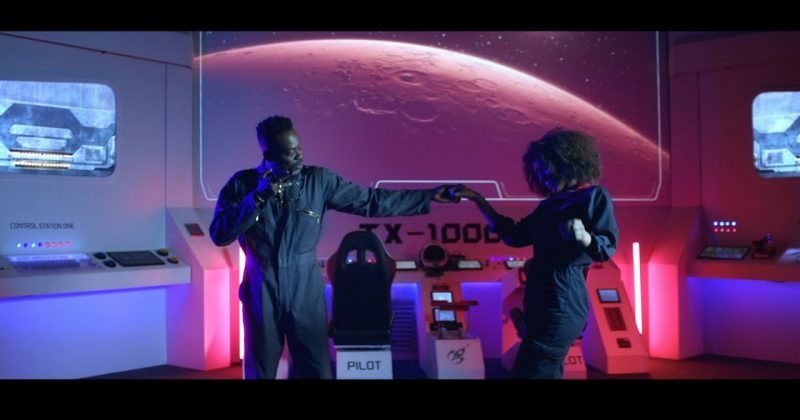 The video begins in a space station run by Adekunle Gold and assistant slash love interest, playfully running a spacecraft while he sings promises of forever to her. You’d wonder how dancers would get into what you’d assume is a secure area but then you realise he’s dreaming and the human subconscious has been known to engender strangeness.